Figure 4 shows the Relational Domain where you’re facing the time axis as the Z axis whereas in the Rational Domain the time is along the X axis. The video below shows the 3D transformation of the Rational Domain to the Relational Domain. 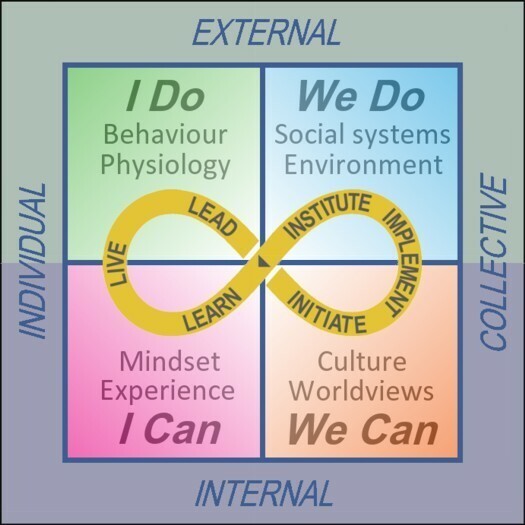 For a more detailed description of the Relational Domain, see An Introduction to the Can-Do Wisdom Framework. The relational domain is important for group decision making in a political sense. A change instigator who has learned or discovered what changes are needed has to lead or at least influence the formation of a coalition. This influencing process to change the mindset of other individuals takes time and skill, particularly if the instigator lacks position power. Posted in can-do wisdom and tagged change instigator, decision making, decision making process, rational decision making, wisdom.